Byrne and Kelly's latest release, Echoes, is a collection of nine original tracks and the well known Irish classic 'Step It Out Mary'. During a remote weekend writing retreat in County Cavan, Ireland with fellow musicians Nicole Hudson and Peter Sheridan, the seed for the Echoesalbum was planted. Just over a year later, the result is a 10 track album featuring songs that highlight their rich, Irish culture and experiences traveling the world playing music. 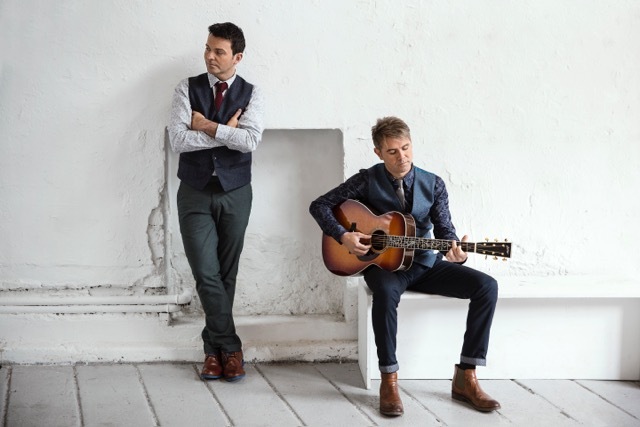 Echoes received immediate chart success following its release in February of 2016 and hit the #1 spot on the iTunes World Music chart, Billboard Top 5 World Album, #1 Amazon Traditional Folk and #1 Amazon Traditional British & Folk charts, Amazon Top 100 Album, and Google Play Top World Album.